Access FIT M Manual Projection Screen :: Draper, Inc. 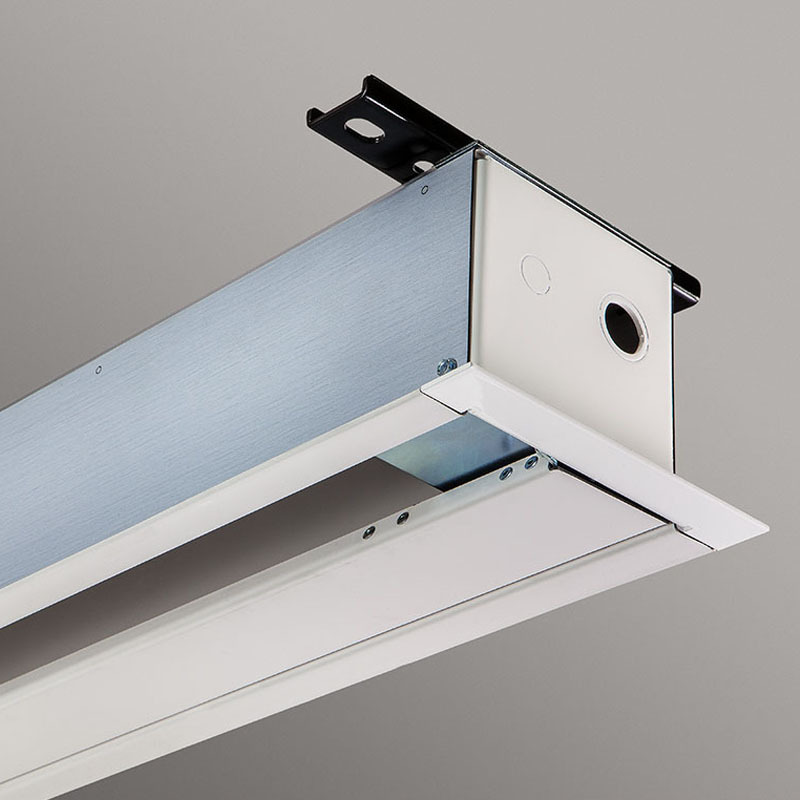 Compact housing allows the ceiling-recessed Access FIT M manual projection screen to fit tighter ceiling spaces. It is an ideal choice for boardrooms, training rooms, universities, and churches. Free-hanging, fiberglass-backed projection screens maintain flatness thanks to the weight of the screen and bottom dowel. The bottom closure panel provides access to all components for easier service and maintenance. Installation of the case during the initial phase of construction eliminates job site damage, allowing for installation of the screen at a later time. Case dimensions are 5-11/16” high x 6-7/16” deep (14 cm x 16 cm), includes trim flange. Built-in controls may increase case length. 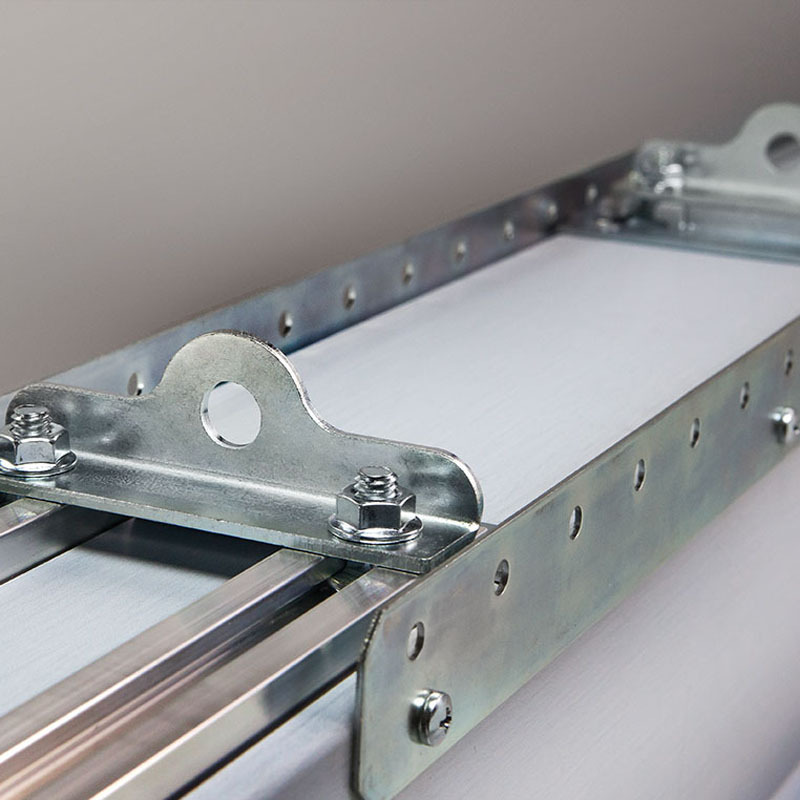 Mounting brackets may add to case dimensions, see Submittal in the Technical Documents tab for details. 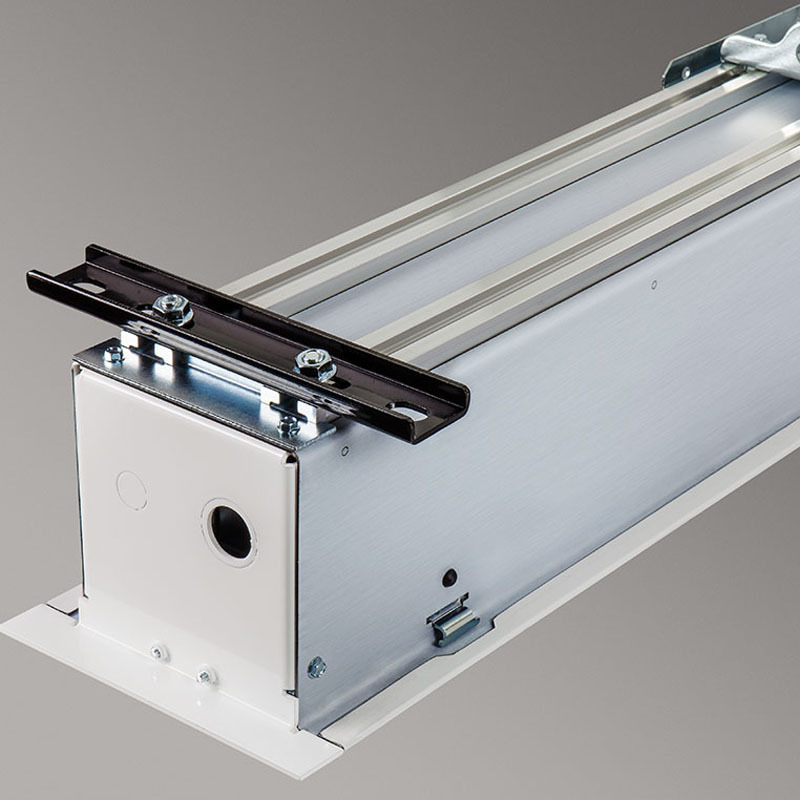 Spring-roller operated screen for ceiling–recessed installation. Optional, removable aluminum operating pole available in lengths of 4' or 6' (122 cm or 183 cm).